A Eurasian species commonly grown in a range of colors and rarely found as a garden weed or on roadsides, dumps, or fields; first collected in 1912 in St. Clair and Wayne Cos. 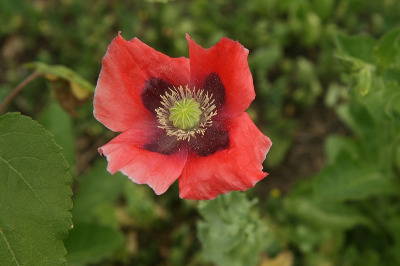 This plant is the source of poppy seed used in baking and for making a drying oil. The hardened sap of the unripe fruit, on the other hand, is the source of opium and its derivative drugs. The flowers of ornamental plants are often double. Some plants have stiff hairs on the peduncles. MICHIGAN FLORA ONLINE. A. A. Reznicek, E. G. Voss, & B. S. Walters. February 2011. University of Michigan. Web. 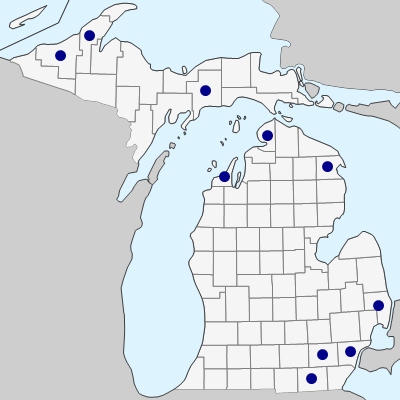 April 21, 2019. https://michiganflora.net/species.aspx?id=1900.